It is the least effective way to therapeutically use essential oils. It does not address the root problem. It is illegal in the United States. Humans have been employing the use of botanicals, or plants, to support and restore health for some 50,000 years. Or, you could probably say botanicals have been used as long as humans have been on the planet. Botanical medicine has a 5,000 year written history based on the energetics of the person and the plant. You see, humans have been treating the individual long before they fully understood anatomy, physiology, and states of disease. When the shift began in the last century to do away with this model of healing and instead treat disease and illness, the lay-person lost a valuable resource for wellness care. Prevention was tossed to the wind and we lost sight of taking care of ourselves based on our energetic makeup. And if you look around, we’re really rather suffering from the lack of wellness-based medicine in our lives and our communities, aren’t we? I certainly think so. If you had an appointment today with an Ayurvedic practitioner, a Chinese medicine practitioner, a herbalist, or myself, you wouldn’t be treated for your high blood pressure, your osteoarthritis, or your migraines. While all of these symptoms are important and will be considered by the practitioner as part of a whole you’ll really be treated based on your energetic constitution and the symptoms will be viewed as clues to what’s really going on. How do you experience the world? Are you a fire constitution expressing too much heat through chronically inflamed joints? Are you an air constitution expressing too much wind that leaves you mentally spacey during the day and with troubling insomnia at night? Has damp or dry energy patterns tipped the scales for your constitution? Any constitution can experience similar symptoms but getting to the root of the cause takes some asking, listening, and observing (hence my 5 pages of questions on my intake form!). A fire type and an air type can both have knee pain but their origins are very different and their treatment plans should be different as well. So you want a natural solution for [insert health complaint here]. After being steeped in treating disease states instead of the person for the past hundred years your first thought isn’t going to be: “I’ll use this essential oil because it has this energetic aspect that my body needs for balance.” Nope. You’re going to look at what western medicine would classify the essential oil for. Let’s say you’ve got a sinus headache. It’s allergy season here in Southeastern Utah and between the mold and the plant pollens, a lot of folks are really suffering. What would be your first choice for that sinus headache from your essential oil kit? If you looked just at the chemistry you might choose, say, Peppermint. It’s rich in terpenic alcohols (aka monoterpenols) and right there on the monograph, it says “decongestant,” that’d be just the thing! But wait, that’s only part of the story of peppermint essential oil. Peppermint’s energetics give us deeper clues as to who should be utilizing this essential oil. It’s in the pungent family (TCM, Ayurveda, AGM) and likes to move and circulate energy in the body. It’s also classified as a Yin botanical with cooling properties. So, who needs these properties? Someone with a hot and Yang temperament, yes? Aha! What if your constitution tends toward cold though? What if your dominant dosha is Vata? What if it’s a Yin and cold season and the last thing you want is to amplify that temperature in yourself? Oh, then this isn’t the right essential oil for you at all. In fact, it might exacerbate your constitution and you’ll only feel worse. Well, that’s not the relief you were looking for. If you choose an essential oil like a drug: this essential oil for this acute health problem; the worse that happens is you feel worse, or it doesn’t work. While unpleasant, or disappointing, it isn’t necessarily life-threatening if you’re working within safe dosing guidelines. 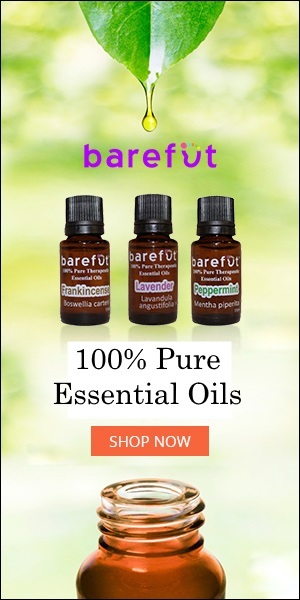 What is potentially life-threatening is when essential oils are bought and sold to advanced disease states like cancer, high blood pressure, or an autoimmune condition. There aren’t any essential oils that will replace chemotherapy, blood pressure medication, or treat multiple sclerosis. Not that these disease states cannot be improved by treating the individual, it’s just that essential oils aren’t drugs. What happens if you follow the bad advice of taking Frankincense essential oil for cancer? If you take enough to wipe out cancer it will be too poisonous a dose for your eliminatory organs to handle and you’ll go into organ failure and die. If you don’t take enough, it will likely protect the cancer cells giving them the opportunity to continue to grow and spread, and if you’re in chemotherapy at the same time it will make the chemo harder to do its job. So, if death or worsening of a condition isn’t an indication enough that essential oils aren’t drugs and shouldn’t be used to treat from a western medicine perspective there’s the fact that it is completely illegal for essential oils to be recommended and sold as drugs in the United States. The branches of U.S. government, designed to protect consumers and the field of medicine, have created specific laws around this. …unless they are licensed in their State to practice and prescribe medicine. Making it illegal to use essential oils as drugs is a rather good thing for both you and me. Firstly, it protects you, the consumer, from snake oil sales folks that want to sell you a product for your medical condition. There’s no reason an untrained, unlicensed person should be practicing or prescribing medicine. Okay, we could probably argue the benefits of emergency medicine in the event of the zombie apocalypse. It’s also great for me, as an aromatherapist, that I don’t have to practice medicine. Or prescribe medicine. I didn’t go to medical school and I have zero interest in practicing western medicine. My CPR training card doesn’t give me any authority to treat your medical condition any more than your neighbor licensed in plumbing does. I can treat you as the wonderfully holistic person that you are – with your unique way of absorbing and expressing this beautiful life. And that’s why I’ve spent 19 years studying holistic medicine! I love tapping into the body’s own innate healing abilities by gently nudging it towards homeostasis, that balanced state it thrives in and strives for. In closing, I want to talk about the benefits of combining modern and ancient medicine models in the practice of aromatherapy. Eastern aromatherapy looks at the energetics of the person and the essential oil and prepares a treatment plan based on supporting the constitution of the individual. Be it grounded in Traditional Chinese Medicine, Ayurvedic Medicine, Ancient Greek Medicine, or another system, it always supports the person, not the allopathic disease state. Western aromatherapy closely analyzes and studies the chemistry of the essential oil. This information gives us the biophysical action of the essential oil, dosing parameters, and safety information like contraindications and cautions. Then it looks at the scientific study of the human body: anatomy and physiology (A&P). A&P gives us guidance on routes of absorption, how the chemistry of the essential oil travels in the body when we smell it, when we apply it to the skin, when we use it internally, and the best methods to accomplish each of these routes for the highest therapeutic effect. Each area gives us one half of the story, and when combined we have a holistic, modern, wellness tool that is powerful, safe, and very effective. Toss in a healthy diet, loving movement of your body, and we could quite possibly change the world with aromatherapy!